Got left over Pumpkin from Halloween? Here’s a great recipe to use it up in an interesting way. I actually created this dish as I was running back and forth to welcome our steady stream of trick or treaters. I selected small size ricotta filled fresh ravioli. The pasta was smothered with cubes of oven roasted pumpkin made fragrant with a rub of garlic, fresh oregano, cumin, sea salt and cinnamon. Trust me, it was really good! 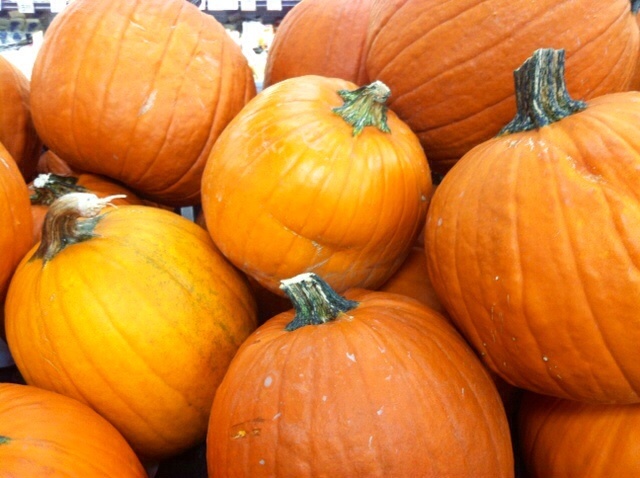 The pumpkin can be made several hours ahead and reserved. Once the roasting was completed, the pumpkin was drizzled with a bit of good balsamic vinegar and seasoned with a pinch of cayenne. Over the pumpkin, a layer of crispy pancetta, garlic and arugula added salty and bitter notes to contrast with the sweetness of the pumpkin. 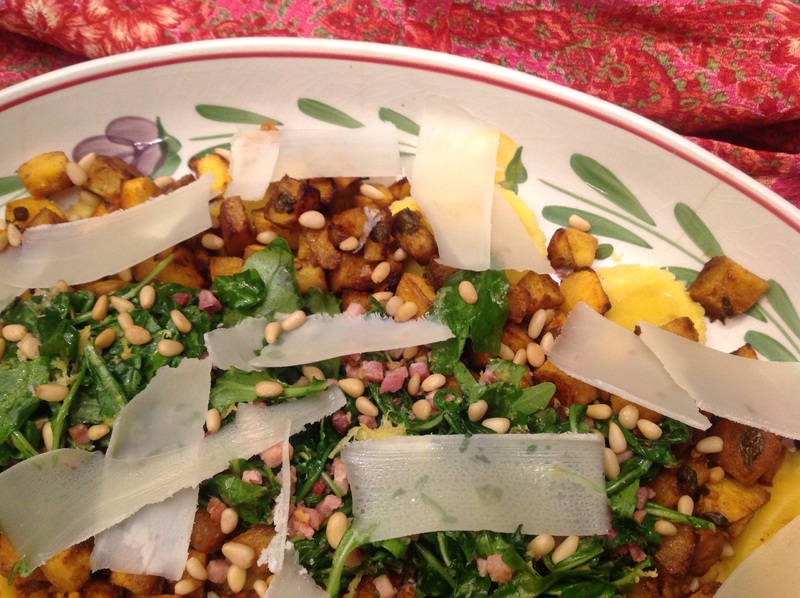 The whole dish was crowned with curls of pecorino romano and a sprinkling of pine nuts. The creamy pillows of pasta combined with the spicy pumpkin, salty pancetta, and bitter greens were a winning marriage of flavors in every bite! The cooking aromas were so enticing with all that garlic and spices, I had several Halloween visitors join me in the kitchen to ask what I was making that smelled so good! I scared them off with candy and not a smidgen of this dish! It was too good to share with goblins, ghosts and pirates! 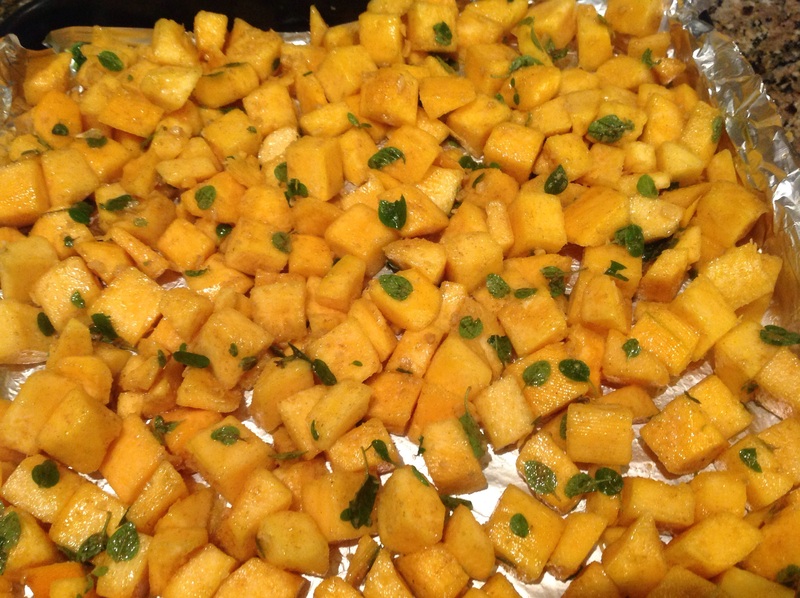 For the pumpkin: 1 and 1/2 pounds of cubed fresh pumpkin(or squash); 1/4 c olive oil, 2 cloves of garlic, crushed; 1 teaspoon ground cumin; 1/2 teaspoon cinnamon, 2 tablespoons of fresh oregano or marjoram leaves; 1 1/2 teaspoons of sea salt. Make a paste with all the rub ingredients and toss the cubed pumpkin to coat completely. Roast on a lined pan, in a single layer, for 40 minutes at 350F. Sprinkle with a pinch of cayenne pepper and a drizzle of good balsamic, just before assembly. 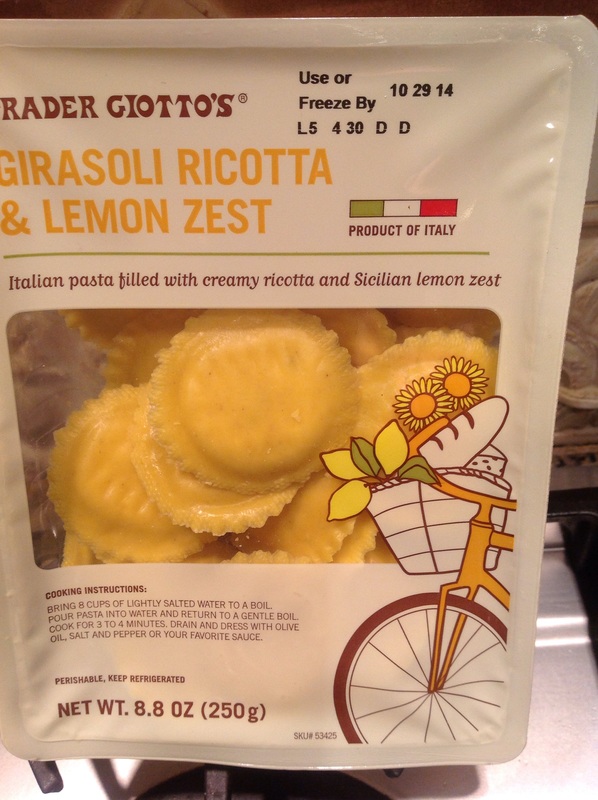 Pasta: Cook a 9 oz package of fresh ricotta ravioli as per directions. 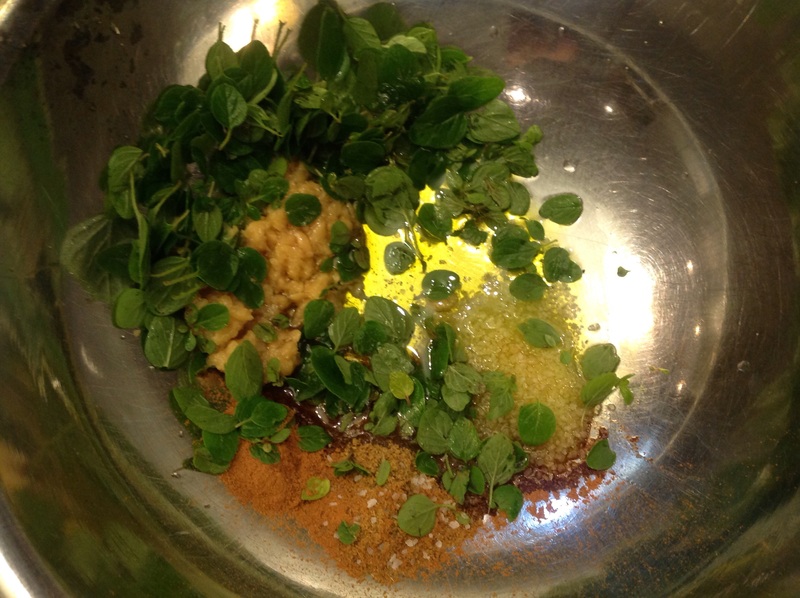 While pasta is cooking, sauté 4 onces of finely cubed pancetta in 1 tablespoon of olive oil with 1 clove of garlic, crushed. 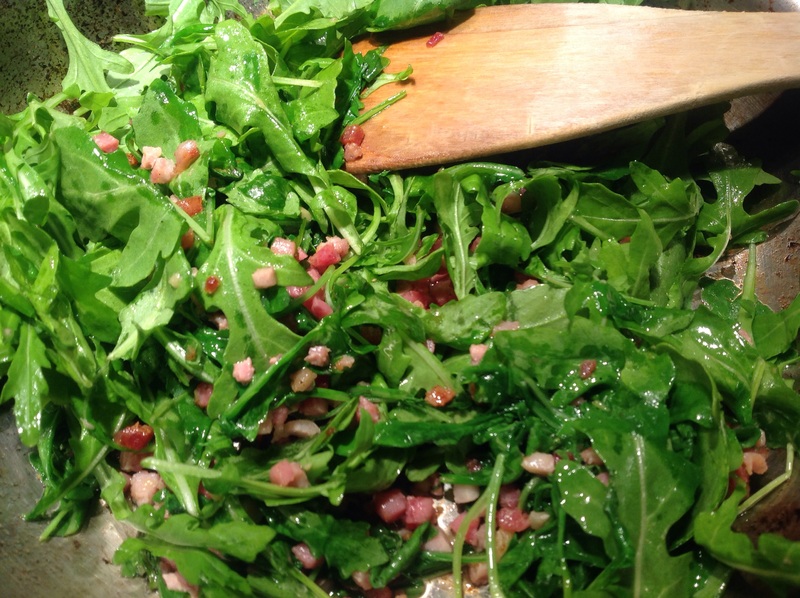 Add 2 big handfuls of arugula and sauté just until wilted, about a minute more. Squeese the juice of 1 lemon over the greens. If you love lemon, use the zest as well, as I did. In a serving dish, top the raviolis with the pumpkin. 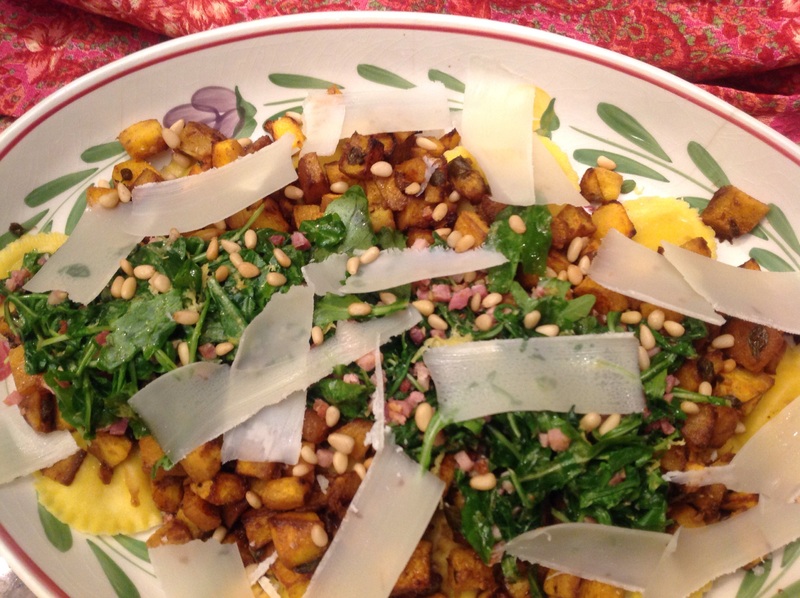 Layer the pancetta- arugula mixture over the pumpkin. The dish is then finished with long curls of pecorino romano cheese and 2 tablespoons of pine nuts. Rub mix for the pumpkin. Seasoned pumpkin going into the oven. Buon appetito and happy November! This entry was posted in Recipes and tagged Raviolis with roasted pumpkin and pancetta, spicy roasted pumpkin with pancetta over ricotta raviolis by Johanne Lamarche. Bookmark the permalink. Have a wonderful Sunday and a great week ahead! Made the ravioli with spiced pumpkin and pancetta. Delicious!!!! Such an interesting combination of flavors…a perfect fall dish. Thank you Karen! It was one of those spontaneous creations and turned out pretty good. Hope you’ll give it a try!